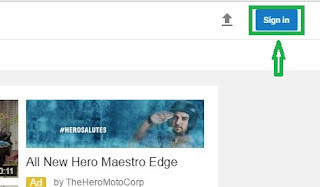 Hello Friends Hamare Blog Par Aapka Swagat Hai Aaj Ke Hamare Post Ka Title Hai Youtube Se Paise Kaise Kamaye Video Ko Monetize Karke Or Adsense Ke Ads Videos Par Dikhakar. 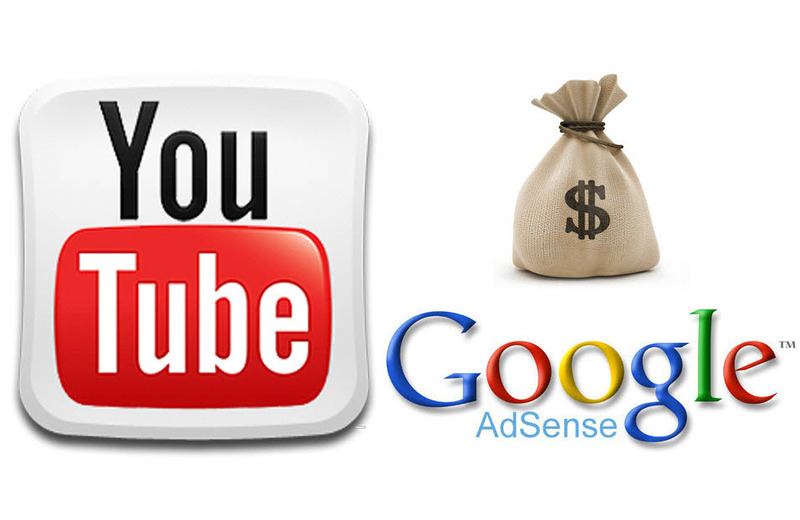 To Friends Aaj Hum Janenge Youtube Se Paise Kaise Kamaye Youtube Se Paise Kamana Koi Muskil Nahin Hai Youtube Ek Online Videos Streaming Ke Popular Site Hai Jise Bahut Se Log Use Karte Hai Or Bahut Se Log Esse Paise Bhe Kama Rahe Hai Youtube Par Paise Kamane Ke Liye Aapke Pass Apke Dwara Banayi Gaye Kuch Videos Honi Chahiye Jinhe Aapko Youtube Par Upload Karna Hai Video Upload Karne Se Pehle Aapko Youtube Ke Video Upload Se Judi Privacy Policies Ko Jaan Lena Jaruri Hai Me Aapko Youtube Ke Privacy Policies Ke Kuch Khaas Topics Ko Bata Deta Hu. 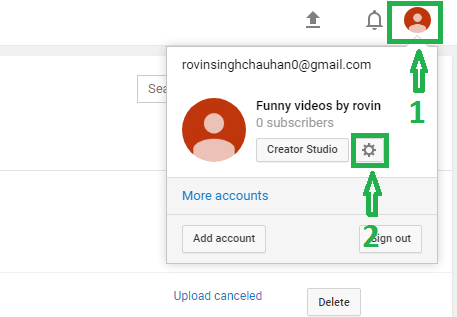 Youtube Par Jo Video Aap Upload Kar Rahe Hai Wo Kisi Ke Copy Ke Hui Video Na Ho, Video Me Kisi Bhe Prakar Ka Copy Right Song Ya Scene Na Ho, Video Aapke Dwara Capture Ke Hui Honi Chahiye, Video Ko Aap Edit Karke Bhi Upload Kar Sakte Hai Bas Usme Koi Bhi Copy Right Contant Na Joda Gaya Ho. 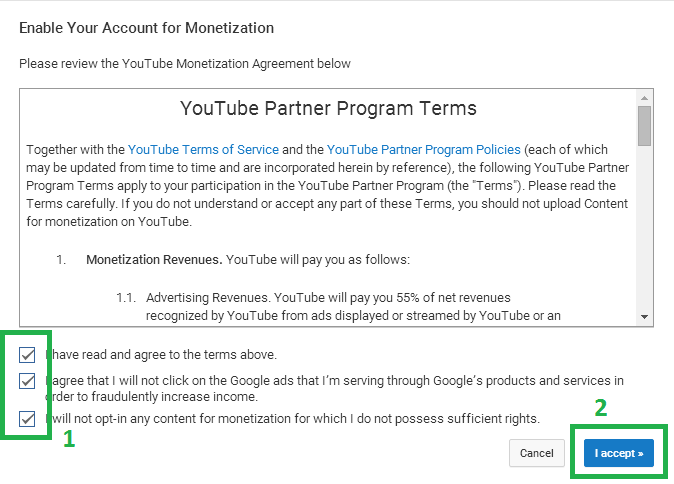 To Chaliye Jante Hai Youtube Se Paise Kaise Kamaye Jaate Hai Video Ko Monetize Karke Or Adsense Ke Ads Video Par Dikhakar, Pehle Hum Janenge Kaise Youtube Account Ko Monetize Kiya Jata Hai. 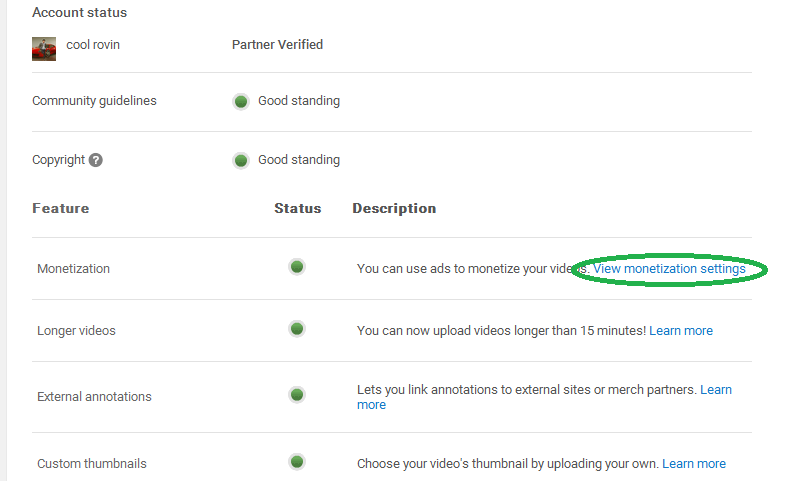 Youtube Account Ko Monetize Kaise Karte Hai ? 1. 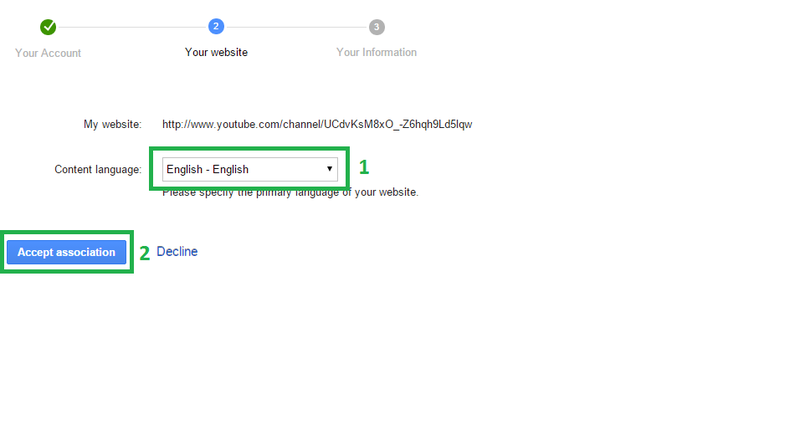 Sabse Pehle Aapko Youtube Ke Site Par Jana Hai Or Sign In Par Click Karke Apne Gmail Account Se Sign In Karna Hai. 2. Fir Aapko Right Side Me Apke Profile Ka Icon Dikhayi Dega Aapko Uspar Click Karna Hai Or Fir Setting Gear Par Click Kae Dena Hai. NOTE – Aapka Youtube Account Verify Hona Chahiye Account Verify Kaise Karte Hai Eske Jankari Pane Ke Liye Yaha Click Kare. 3. 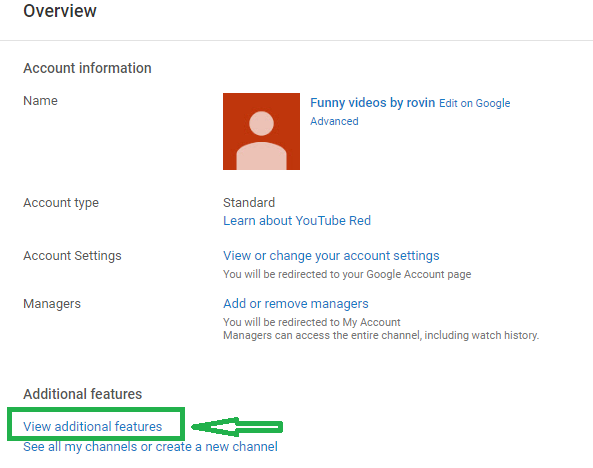 Fir Aapke Samne Overview Page Open Hoga Yaha Par Aapko View Additional Features Par Click Kar Dena Hai. 4. 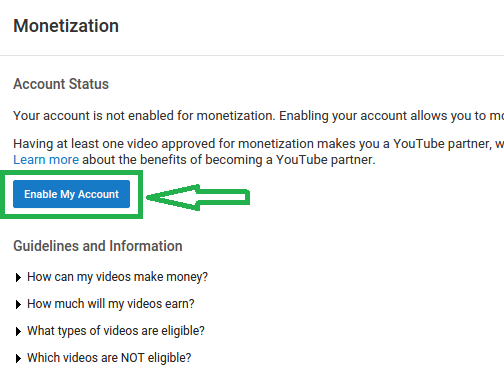 Additional Features Par Click Karte He Aapke Samne Status And Features Page Open Ho Jayega Yaha Par Agar Monetization Option Me Ineligible Likha Aa Raha Hai To Aap Abhi Apne Account Ko Monetize Nahin Kar Sakte Hai, Agar Monetization Ke Aage Eligible Likha Aa Raha Hai To Aapko Uspar Click Karna Hai. 5. Fir Aap Ek New Page Par Pahuch Jayenge Yaha Par Aapko Enable My Account Par Click Karna Hai. 6. 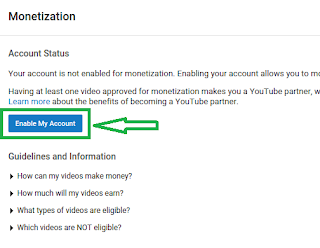 Enable My Account Par Click Karte He Aapke Samne Youtube Ke Privacy Open Ho Jayege Aap Chahe To Inhe Pad Sakte Hai Ya Sidhe He Niche Diye Gaye Teeno Options Par Tick Lagakar I Accept Par Click Kar Sakte Hai. 7. Fir Aapke Samne How To Monetize Your Video Page Open Hoga Aap Chahe To Ese Bhe Padh Sakte Hai Ya Fir Sidhe Got It Par Click Kar Sakte Hai. 8. Got It Par Click Karte He Aap Apne Video Manager Me Pahuch Jayenge Yaha Par Aap Dekh Sakte Hai Aapke Videos Ke Samne $ Ka Sign Dikhai De Raha Hai Yani Aapka Account Monetize Ho Gaya Hai. 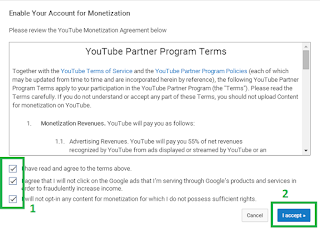 Es Tarhe Aap Apne Youtube Account Ko Monetize Kar Sakte Hai Agar Aapne Apne Youtube Account Ko Monetize Kar Liya Hai To Ab Jante Hai Kaise Youtube Account Ko Adsense Account Se Jodte Hai. 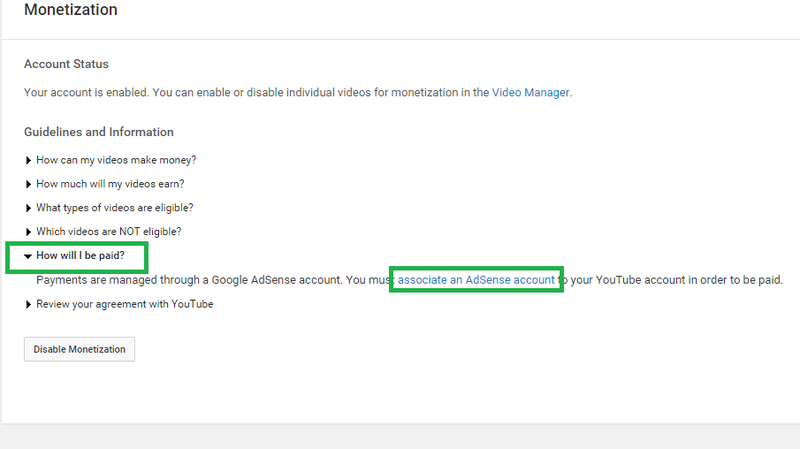 Monetized Youtube Account Ko Adsense Account Se Kaise Jodte Hai ? 1. 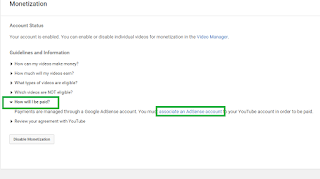 Youtube Account Ko Adsense Account Se Jodne Ke Liye Aapko Wapas Additional Features Page Par Jana Hai Or Ab Aap Dekhenge Ke Waha Par Monetization Option Ke Aage View Monetization Settings Likha Hua Aa Raha Hai Aapko Uspar Click Karna Hai. 2. Fir Aapke Samne Ek New Page Open Hoga Yaha Par Aapko How Will I Be Paid ? 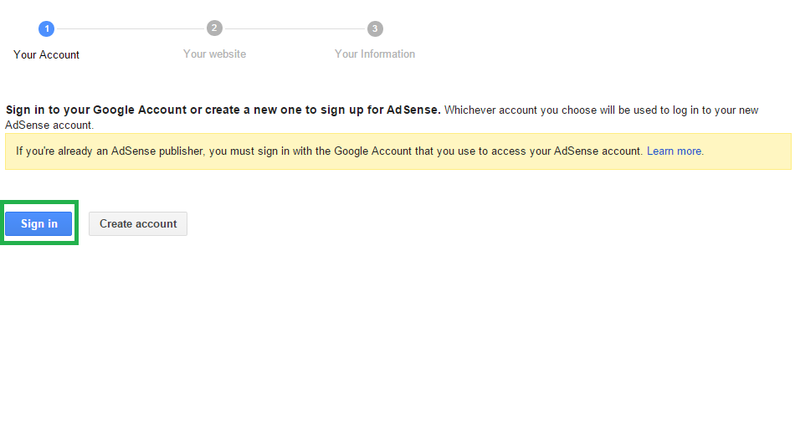 Par Click Karna Hai Or Fir Associate An Adsense AccountPar Click Kar Dena Hai. 3. 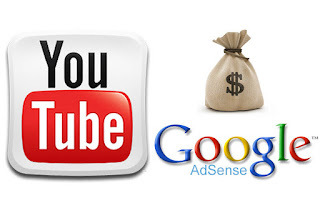 Fir Aapko Next Par Click Karna Hai Ab Aapko Direct Adsense Account Creation Ke Liye Redirect Kar Diya Jayega. 4. Fir Aapko Apne Google Account Se Sign In Karna Hoga Aap Chahe To New Google Account Bhe Bana Sakte Hai Create Account Par Click Karke. 5. 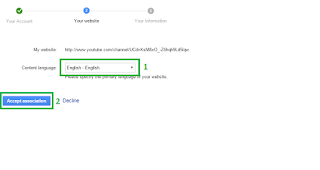 Google Account Se Sign In Krne Ke Baad Aapke Samne Jo Window Open Hoge Waha My Website Option Me Aapka Youtube Account Auto Detect Ho Jayega Par Content Language Me Aapko Apne Contant Ke Language Select Karni Hoge Or Fir Accept Association Par Click Karna Hoga. 6. Fir Aapke Samne Information Window Open Hoga Yaha Aapko Apne Address Or Name Ke Sahe-Sahe Information Fill Karni Hai Or Fir Submit My Application Par Click Kar Dena Hai. 7. 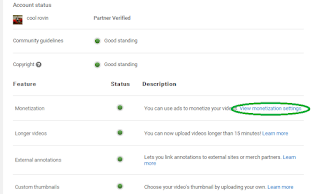 Fir Aap Wapis Apne Youtube Account Me Aa Jayenge Aapka Adsense Account Approve Hota Hai Ya Nahin Eske Information Aapko Email Ke Dwara Day De Jayege, Jaise He Aapka Adsense Account Approve Ho Jayega Aapke Videos Par Ads Dikhna Start Ho Jayenge. 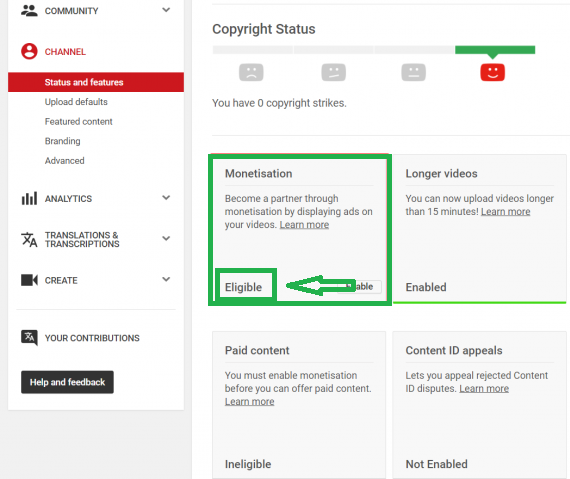 To Friends Is Post Me Apne Sikha Youtube Se Paise Kaise Kamaye Videos Ko Monetize Karke, Es Tarhe Se Aap Apne Youtube Account Ko Monetize Kar Sakte Hai Or Google Adsense Account Se Jodkar Videos Ke Dwara Paise Kama Sakte Hai Agar Aapko Es Post Se Related Koi Help Chahiye Ho To Hume Comment Karke Puch Sakte Hai. Friends Aapko Hamari Ye Post “youtube se paise kaise kamaye” Kaise Lage Hume Jarur Bataye Comment Karke, Agar Aapko Hamari Post Pasand Aaye Ho To Ese Social Sites Par Share Kare Facebook Par Humse Judne Ke Liye Hamara Facebook Page Like Kare, Hamare Future Posts Ke Jankari Pane Ke Hume Apne E-Mail Par Subscribe Kare.